The full-time De La Salle University Professor Antonio P. Contreras slams the statement released by the lead counsel of the Vice President-elect Leni Robredo against the LP’s late filing of its expenditure report. Atty. 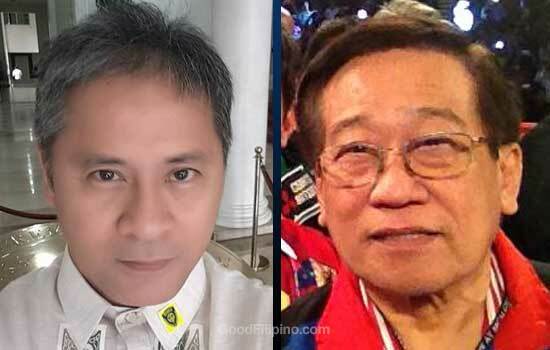 Romulo Macalintal said that Robredo can still assume the office of the Vice President. "Even if a candidate fails to file his SOCE on time, he cannot be deprived of his right to file the same at anytime because Section 14 of RA 7166 is very clear in that no elected official shall assume the office ‘until he has filed the SOCE," Atty. Macalintal said. Then he added, "Clearly, the phrase, ‘until he has filed his SOCE, means that such SOCE could be filed at anytime and that would only be the time when the winning candidate could enter upon the duties of his office." But according to Prof. Contreras, Robredo's lawyer is wrong with his statement about Section 14 of RA 7166. Then the DLSU professor had explained elaborately through his official Facebook account. Prof. Contreras quoted the Section 14 of RA 7166 and reads, "No person elected to any public offices shall enter upon the duties of his office until he has filed the statement of contributions and expenditures herein required." Then he also support the Section 14 with a separate provision that applies to all parties, which reads. "And what is the prohibition? It is on entering into the duties of an office," he said. "You see Sir. The way I read it, the law is even stricter for parties than for individual candidates. For parties, any failure to file within the period prescribed, i.e. 30 days, would mean that all winning candidates of such party will suffer the prohibition," as Prof. Contreras clearly said. DLSU professor also said that there's no word 'until' in the referring paragraph on the Section 14. He said, "There is even no statement of "until" the party has filed, but what is specified is any faiure to file within the period prescribed by the law. No ifs. No buts. No room for postponement. Not even a room for late filing. For the law is clear -- failure to file within the prescribed period by any political party will mean that the prohibition stated in the preceding paragraph -- of not being able to enter into the duties of his or her office -- will apply to all its winning candidates." Prof. Contreras explained further the statement of Atty. Macalintal on 'until he has filed his SOCE.. etc.,' he said it "appears to apply only to individuals and not to parties, and even stands on shaky legal grounds on the issue of whether COMELEC can extend a deadline set by Congress through RA 7166, and for which it is not authorized to extend." "Furthermore, your insinuation that the Comelec resolution stating that "submission of SOCE beyond the deadline shall not be accepted" is "of doubtful legality because the Comelec cannot prescribe what the law does not provide" seems to be the one that does not stand on four legs," he added. On the last part of the Prof. Contreras statement for Atty. Macalintal, he enumerated his points about the issue. "First, the law clearly implies an absolute deadline for parties, as I pointed above. "Second, the law does not authorize COMELEC to extend the deadline. "And third, to accept late filing is tantamount to extending the deadline, and is precisely what the law does not provide or authorize COMELEC to do," he said. Do you agree with DLSU Prof. Antonio Contreras about the statement of the VP-elect Leni Robredo's lawyer? Please share your thoughts below. Comments or suggestions about "DLSU prof slams Robredo's lawyer over 'LP's late filing of SOCE'" is important to us, you may share it by using the comment box below.